An easy, homemade recipe for cranberry relish made with just three ingredients! 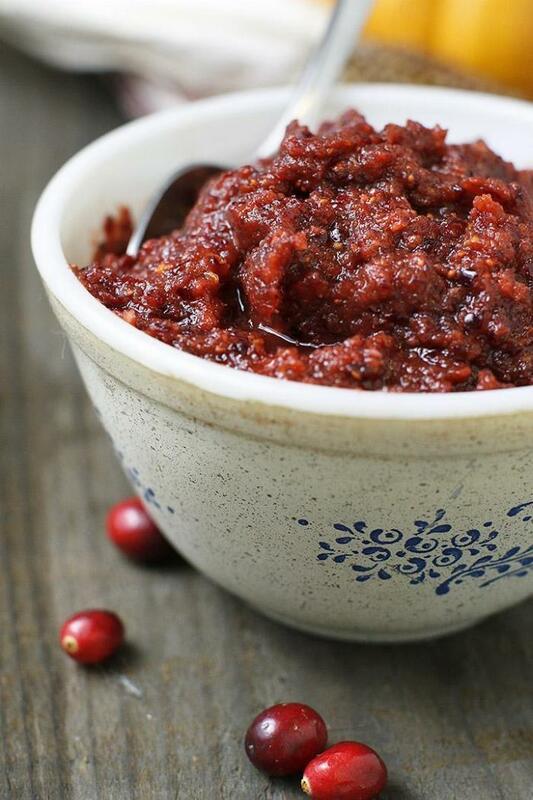 A healthier relish made with fresh cranberries, orange and coconut sugar. Perfect as a side for turkey, chicken and pork mains. 1Wash and chop oranges into 4-6 pieces (leave peel on). 2Place orange pieces and cranberries into food processor and finely chop until well blended and no chunks. Stir and scrape down sides, blend again. 3Add sugar and stir until dissolved. 4Serve alongside main dish, like turkey. Store in air-tight jar up to 7 days, or freeze. *For low FODMAP: Although Monash University has not officially tested fresh cranberries, they released a statement saying, “9g dried cranberries is low FODMAP and should be well tolerated by most” and one glass of cranberry juice is low FODMAP (Monash, 2015).